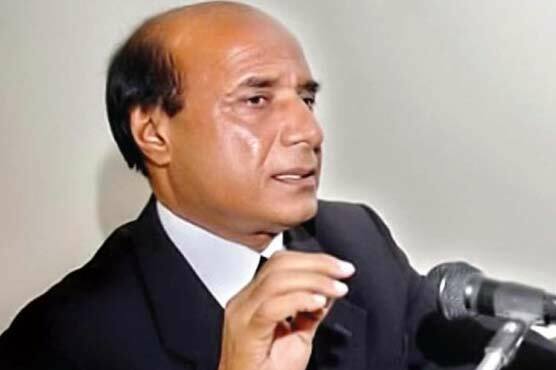 PPP General Secretary Latif Khosa on Friday demanded the government increase its employees’ salaries. Talking reporters, he asked the PML-N government to revisit the budget and provide relief to the masses. He said a large number of the people of the country were unable to bear the burden of taxes, adding that it was the government’s duty to announce a balanced budget. To a question, Khosa said the government should have given importance to the health and education sectors in the budget. To another question, he said the PPP would take active part in parliament during the budget debate and its role would be in accordance with the constitution and democratic norms. He said the PPP always scarified for the democratic process in the country and protection of people should be the government’s top priority. He said if required the PPP would back the government for constitutional amendments, keeping in view larger national interest. SAABIG GOVERNOR KHOOSA TAU*** nirra purra yabbal mail hai***—-apnay zamaanay main kahan soya hua tha? saara khazaana loot ker bhag chukay ye chor aur sardar bhee peechay peechay aanay waala hai———ab doosron ko bhee chaska lainay do——–believe me there is no shortage of crooks in politics. thanks khooosah sb!